The Angle Relief examples color the fractal using a 3D relief based on the angle at each sample point. In the remaining sections, when I refer to the equation, I will use Exp 5, but you should use the equation for the example you are working with. 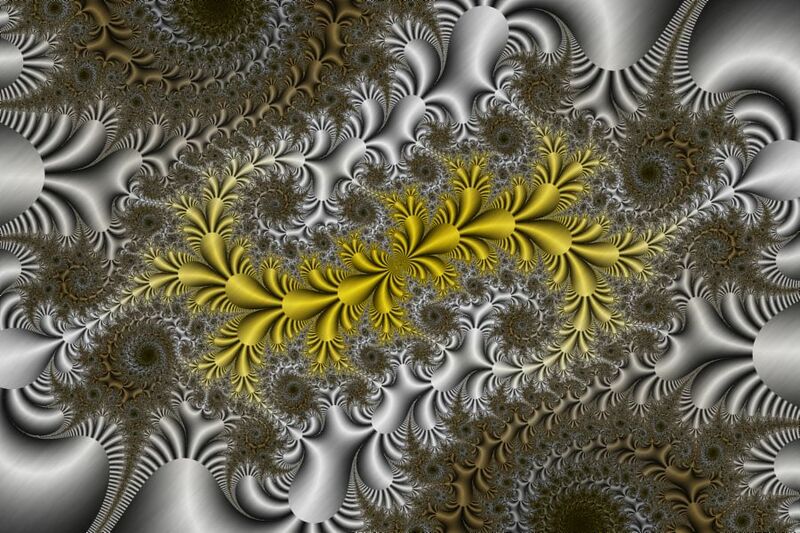 The Angle Relief examples color the fractal using a 3D relief based on the angle at each sample point. 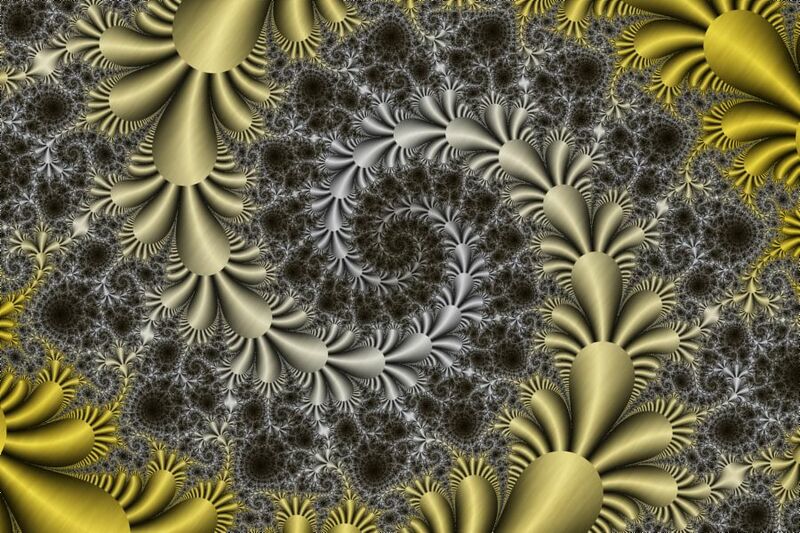 The angle associated with a sample point is affected by the Magnitude property found on the Orbit Generation section on the Mandelbrot / Julia / Newton page. The default Magnitude setting is x^2+y^2. However, the Angle Relief x2 01 example sets Magnitude to x^2 and the Angle Relief y2 01 example sets Magnitude to y^2. This is not an arbitrary choice. 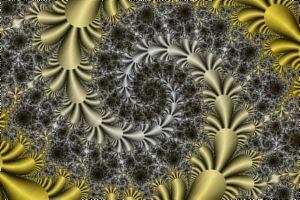 Many Fractal Equations are more suited to one of these alternate settings due to the functions that make up the equation. To this point, several of the equations will provide a property to override the default Magnitude on the equation's properties page. In addition to resetting the Magnitude property, these examples use a color controller that generates a 3D relief based on the sample point's Angle. The Angle Relief x2 01 example uses the controller Gradient Map - Angle Relief (x^2), and the Angle Relief y2 01 example uses the controller Gradient Map - Angle Relief (y^2). It is important to match the equation to the appropriate controller for the best results as given below. These are the equations that look best with the Magnitude set to x^2. These are the equations that look best with the Magnitude set to y^2. Important: Many of these equations have a Bailout property on the properties page found under the equation. If Bailout is present, it must be set to a number less than or equal to 128 for this example. Change any of the properties on this page to affect how the data is mapped to the gradient.